This coming Tuesday, the biggest hockey fight in tech history makes its way to a San Diego courtroom. Once again, Apple and Qualcomm get to square off in court, but this time billions and billions of dollars are at stake. According to the Wall Street Journal, there isn't much of a personal relationship between the CEOs of both firms. As a result of the animosity between Apple's Tim Cook and Qualcomm's Steve Mollenkopf, there seems to be no common ground for settlement talks. As one unnamed Apple executive notes, "It’s personal. I don’t see anybody who can bridge this gap." With that in mind, you have to wonder why Mollenkopf told a CNBC audience last November that Apple and Qualcomm were "on the doorstep" of resolving their issues. Cook doesn't see why Qualcomm should be allowed to take a 5% cut of the sales price of an iPhone. And that brings us to the major issue between the two tech giants, at least in this suit. Apple says that Qualcomm asks too much to license its chips, and Qualcomm says that Apple owes it a ton of cash because it stopped paying royalties to the chip maker. No one could foresee this acrimony between the two firms growing when Qualcomm was the lone supplier of modem chips for the iPhone from 2011-2015. In 2016 and 2017, Intel and Qualcomm shared this business. By January 2017, Apple filed its first suit against Qualcomm, and by 2018 Intel was the sole supplier of modem chips for Apple's handsets. Since Intel won't have its 5G modem chips ready to ship until later this year at the earliest, a 5G iPhone isn't expected until next year. Apple is reportedly designing its own 5G chip for use as soon as 2021. Back before the original iPhone launched in 2007, then Apple CEO Steve Jobs had a relationship with Qualcomm's CEO at the time, Paul Jacobs. Originally, Qualcomm sought a royalty amounting to 5% of the retail price of each handset Apple sold. At the time, Cook was the company's chief operating officer and he felt that Apple shouldn't pay the chip maker more than $1.50 per phone. But Jobs thought that Qualcomm should be compensated for its innovations, and worked out a compromise. Apple paid $7.50 in royalties to Qualcomm for each iPhone sold. By 2011, Qualcomm agreed to pay Apple $1 billion as an incentive payment for using its modem chips. Eventually, Apple was to receive this payment every year but would have to pay back Qualcomm if it started using another modem chip supplier. By 2011, Cook had replaced Jobs as CEO and was upset that Apple was paying Qualcomm more in royalties than all of the other iPhone licensees combined. Five years later, Qualcomm executives were upset at Apple for giving a presentation against the company in a case involving the South Korea Fair Trade Commission. Apple said at the time that it would have to add a second modem chip supplier due to "Qualcomm’s exclusionary conduct." And Qualcomm executives soon discovered that Apple was using Intel's modem chips on the iPhone 7. As a result, the chip maker stopped paying Apple the annual $1 billion incentive payment. 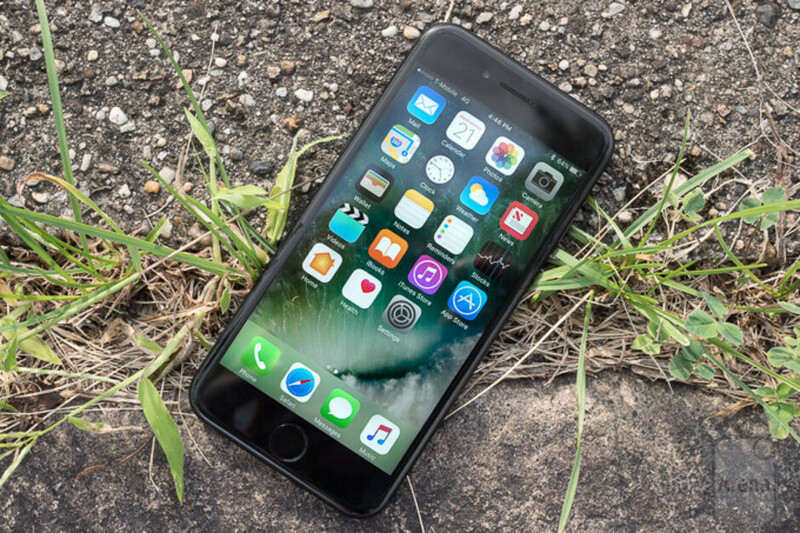 Apple retaliated by cutting off royalty payments to Qualcomm and both firms ended up filing numerous lawsuits against each other. Qualcomm also felt that Apple was supporting Broadcom's unsolicited bid to buy Qualcomm for $105 billion. The latter rejected the offer, which was made in November 2017. Broadcom continued to press for a deal until March of 2018 when President Trump, citing national security, blocked any purchase of Qualcomm by Broadcom. The trial that starts this coming Tuesday not only includes Apple and Qualcomm, it also features several of Apple's contract manufacturers such as Foxconn and Wistron. That's because these firms are the ones who usually take care of licensing fees on behalf of Apple, and the executives in Cupertino ordered them not to make these payments. While hopeful that both sides can kiss and make up, Qualcomm doesn't want to lower its royalty rates to strike a deal with Apple. Under the contracts it has with other phone manufacturers, Qualcomm would then have to reduce the royalties it receives from the other companies. But Apple might not be the biggest headache that Qualcomm has. 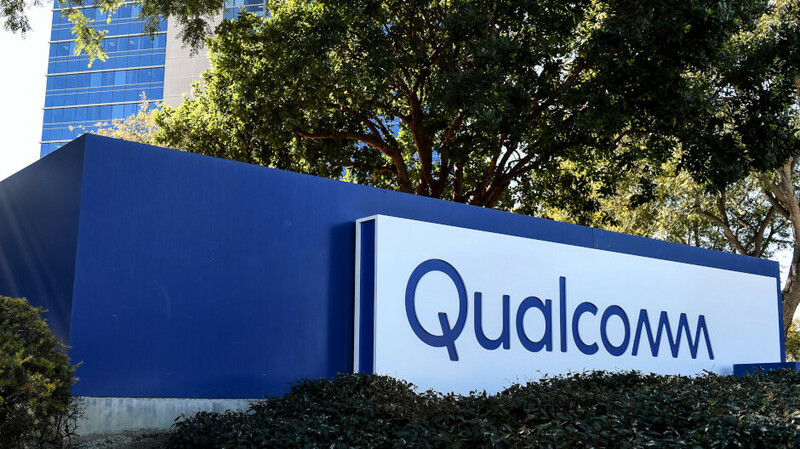 Earlier this year, the FTC took on Qualcomm's licensing practices in a non-jury trial heard by Judge Lucy Koh. A decision could be announced at any time. If Judge Koh, famous for presiding over the first Apple v. Samsung case, rules against Qualcomm, the company could be forced to completely overhaul the way it sells chips to phone manufacturers. You've got to remember that the $7.50 per iPhone rate was at a time when the total cost of manufacture was below $250, and the retail price of the unit started at $600. $7.50 per unit out of $250 per unit manufacturing cost is almost exactly 3% of cost. AND they were getting $1 billion exclusivity incentive payment from QC each year to offset the higher licensing cost. But I do agree, Apple got greedy and broke their exclusivity agreement on the down-low by silently cutting in Intel modems, thus triggering QC to stop the incentive payments, which then triggered Apple to stop paying royalties... both sides displayed some level of greed, and triggered a slippery-slope decline into a serious problem, especially for QC. Looks to me like Apple is the instigator here. Can't just stop abiding to a contract and expect no backlash. Tim apple needs to walk away, leave the company. Someone fresh to come in shake hands with qualcomm and get on with buisness and making money. Qualcomm is right , Apple is wrong. LOL, but I think the same thing. Apple (Steve Jobs) was the one who agreed to this agreement, and then Apple (Cook) is the one which broke it, too. Apple started this fight, Apple is in the wrong and broke agreements with Qualcomm. Apple owes Qualcomm money not only for the original agreement but compensation for these pointless court challenges. Crazy thing is Apple is not going to lose, because the Government has stocks in them. I do agree that Apple can't lose this one. So far treatment has favored Apple, and future litigation looks like it will be handled in Apple-friendly courts. In any case, Apple doesn't have to change anything about how they do business, even if they end up paying a few billion to QC somehow. On the other hand, it looks very much like QC will have to change the fundamentals about their business operation, even if they don't pay $27 billion to Apple. I worry that QC will, as a result of this, not be able to innovate as much as they used to, and thus will lose a competitive edge in many areas going forward. Other chip makers will make inroads against QC in the event that this all really does come to fruition... I'll be looking for Huawei, Samsung, and MediaTek to be emerging out of what used to be QC's shadow. There is also the chance that QC's chips will no longer meet Apple's standards, and so QC may not get Apple's business back even after everything settles out. From the story above, it's Apple in the wrong. No exclusive chip means no incentive payments. Both companies are in the wrong here but Qualcomm does unfairly license it's patents and modem. Instead of charging a flat licensing fee they charge a percentage of the phone selling price. There's no reason it should cost more to use/license Qualcomm modem's/patents in a flagship phone as opposed to a mid-range phone. I just hope apple to release their in house chips.